UPDATED: August 31, 2016, at 11:29 a.m.
Students returning to campus for the fall semester were greeted by a number of new businesses in Harvard Square, with several more preparing to open in the coming weeks. Tom’s Bao Bao, a restaurant specializing in Chinese buns, opened its doors earlier this month in the former location of Yogurtland, and quickly drew customers. 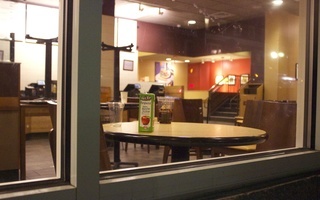 The eatery boasts large open windows that allow customers to see the buns as they are being prepared. 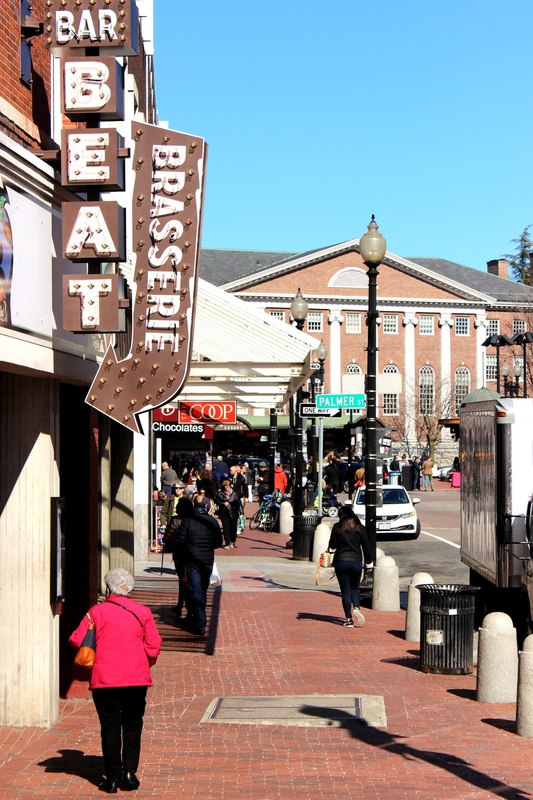 A sunny day in Harvard Square, pictured last April ahead of Harvard's visiting weekend for prospective freshmen. According to Jillson, students can also look forward to the opening of several other establishments in the Square within the next six to eight weeks as well. The Hourly, an oyster bar owned by Grafton Group, the same company that owns both Grafton Street Pub and Grill and Russell House Tavern, will open up on Dunster Street across from the Smith Campus Center in the former Kennedy’s on the Square location. 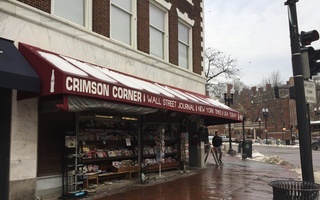 However, Jillson expressed concern that the Campus Center’s current heavy construction might deter potential customers from frequenting the new eatery. Just a couple of blocks away at 8 Holyoke St., Mediterranean-style wine bar En Boca will move into the location previously occupied by Sandrine’s. An Italian restaurant owned by chef Michael Pagliarini—who also owns Italian restaurant Giulia—is set to open in the Charles Hotel. DAVIDsTEA will open its first Cambridge location on JFK Street next to Sweetgreen, an East Coast-based salad chain. Sweetgreen, originally slated for a summer opening, will most likely open up by the end of the year, according to Jillson. Although many students are still reeling from the closure of Panera earlier this year, Tatte Bakery and Cafe, which Panera has invested in, will open up in Panera’s former location in late September, according to Tatte’s catering manager Sarah Hang. 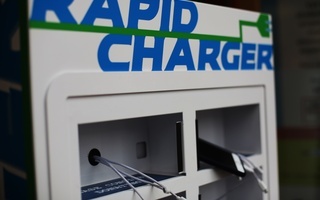 “We are very excited to be joining Harvard Square. It’s such a lively area,” Hang said. 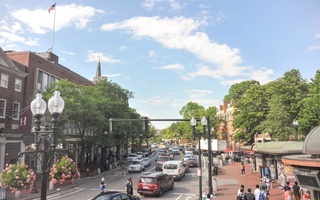 However there are also several Harvard Square establishments that students will no longer see as they reacquaint themselves with the Square. The Sound Lion audio store is among the businesses that have shut their doors. A couple of storefronts away, the Tannery clothing and shoe boutique has also closed its doors. The reason for the closure is unclear, and the business did not respond to a request for comment. “I’ve heard different reports that they might relocate in the Square or close permanently,” Jillson said. 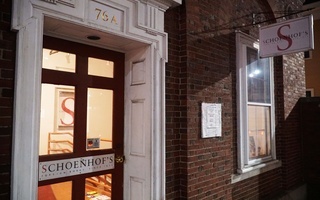 The Concepts sportswear store, also on Brattle Street, will relocate to 9 JFK St, according to a recent tweet from the company. A previous version of this article incorrectly referred to the restaurant Grafton Street Pub and Grill.